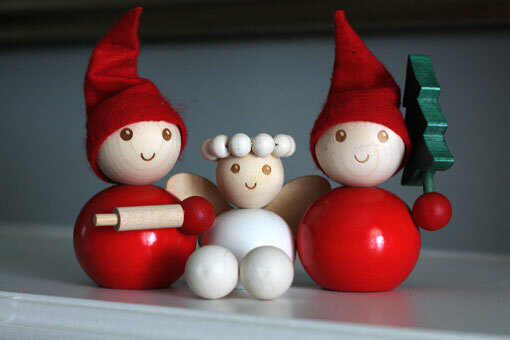 There are 15 days left until Christmas. Yes, you read that correctly. If you’re anything like me, the idea of getting within 2 blocks of a mall at this time of year, let alone trying to park and actually go inside, makes you break out in a clammy sweat. Once upon a time I used to loooooove wandering the mall and shopping, but not anymore. It’s not just the mall itself (and the crowds!) that turn me off, it’s the entire experience and many of the products. It feels so impersonal. The shop local movement is great, and wandering around boutique style stores and craft shows is also fantastic, but sometimes there aren’t enough hours in the day to do all of these things AND check off an entire holiday shopping list. If you’re looking to shop local, and with a nod to integrity, and eco friendly products, I may have a few ideas for you! Stocking stuffers, teacher gifts, hostess gifts, ideas for friends, neighbours, and co-workers… The list seems never ending sometimes. Trying to thoughtfully choose gifts for everyone can start to feel like a full time job, especially if you’re running around doing it all! I really like shopping without having to leave my house, and it’s even better when I know I’m supporting local businesses at the same time. This lovely line of body care products is made in Toronto with ethically sourced, fair trade, and organic (where possible) ingredients. 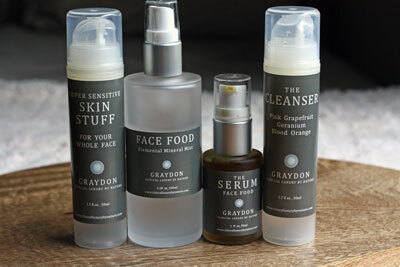 The products use minimal packaging with gorgeous labeling. I love the body scrubs, lip balms and hand creams in particular, as well as the pure argan oil, which is sourced from a women’s cooperative in morocco. 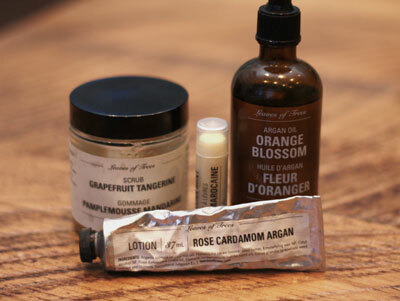 Items like the hand creams would make fabulous stocking stuffers or additions to teacher’s gifts. Or, just get one for yourself. This cool, Toronto-based company makes puppets, stuffed animals, home décor, accessories, and children’s clothing using reclaimed wool (from things like old sweaters). The puppets and stuffed animals are super cute, but I also love his “Maker Kits”, which provide you with everything you need to make your own puppet. What a great gift for a crafty kid OR adult! Tea drinkers can be just as passionate as coffee drinkers, and with such an amazing number of tea varieties out there you definitely don’t need to get bored drinking tea! The trouble is, not all tea is created equal, and there are a lot of popular brands out there that use less than clean ingredients to create their flavour blends. Additives like artificial flavour and sugar are completely unnecessary in a cup of tea, especially when there are so many herbs that can be used! Full disclosure: I’m addicted to Honest Leaf teas. 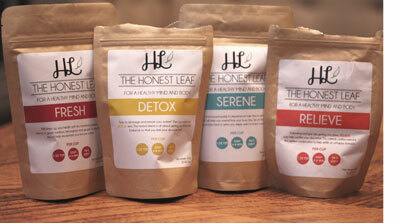 Her blends are thoughtfully crafted and combine the best ingredients with amazing health promoting properties. They also happen to taste great! Sometimes I add a touch of honey or lemon, and sometimes I drink them straight up. There are a LOT of beautifully crafted, non toxic skin and body care lines out there, but for my face and hair I’m quite in love with this brand. She uses truly incredible ingredients and has a number of options suitable to different skin types. I use the All Over Soap to clean my entire family (dog included! ), and my hair just loooves her Hair Smoothie conditioner. In the summer I use the Green Cream (which can be a bit intense for those of you with more sensitive skin) and switch over to her Berry Rich in the winter. I cleanse all year round with The Cleanser, mist with the Mineral Mist, and have her Hand + Foot Relief in almost every room of my house. 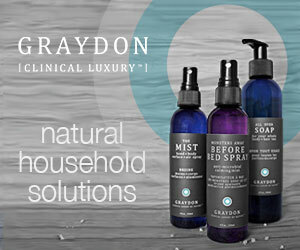 I love Graydon’s beautiful body care line so much that I’ve even started to carry a selection of the products for sale! Contact me and we can chat more about them! Most things come in a few different sizes, and items like the Hand + Foot Relief make great stocking stuffers and hostess gifts! Shop her line on Etsy! I’m a big fan of Jenna Rose Textiles. Not only does she hand draw each illustration herself, she then screen prints the textiles water based pigments on natural materials including organic cotton, linen, and hemp. 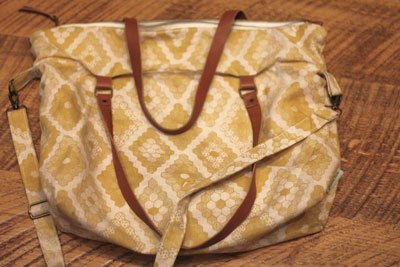 The result is a line of bags, storage bins, scarves, and home décor that is really stunning, and quite special looking. I’ve had one of her briefcase style bags for a few years now and it’s held up really well! I’ve also gifted a few pieces to friends and family because it’s difficult to stop purchasing her stuff! There are also sites like Brika and Etsy, which are online marketplaces filled with artisans that are quite popular, and of course, you can always hit up your local craft fair.